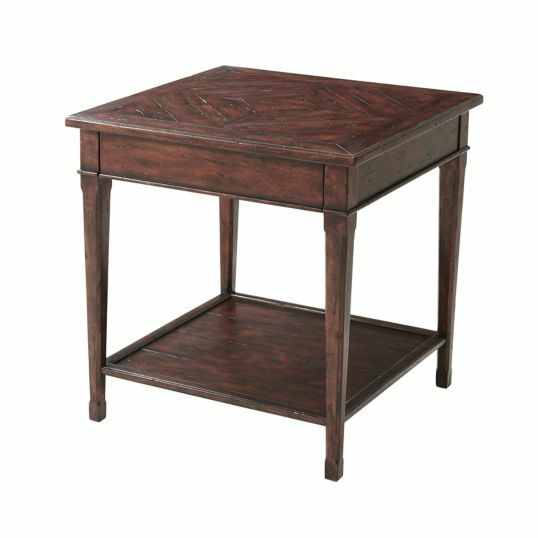 An antiqued wood bedside or lamp table, with a frieze drawer and the square tapering legs joined by an undertier. Shown in Castle Bromwich finish. The original French Provincial.